Fall is my favorite season! The weather's perfect for autumn pictures. It's bye-bye to searing summer heat and dripping humidity! The "warm" side of the colour wheel spreads through the garden... the reds, golds and oranges. And the fog rolls in off the lakes. A delicious combination for fall images. Autumn is the perfect season. Stanley Park in Vancouver. The fog's softened the background autumn colours rich and bright. Fog's the best! With so much of it rolling off English Bay, Stanley Park attracts lots of fall photographers looking for moody autumn photos. Fog is plentiful in Vancouver, thick... and often! Get out and work it the next time the mist rolls in... wherever you are! It blots out ugly backgrounds and softens colour and detail. 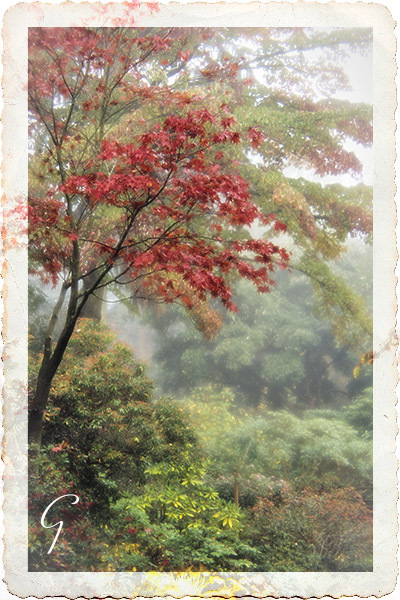 And there's nothing difficult about photographing autumn pictures in fog. Fog's the best! With so much of it rolling off English Bay, Stanley Park attracts lots of fall photographers looking for moody fall photos. Fog is plentiful in Vancouver, thick... and often! Get out and work it the next time the mist rolls in... wherever you are! It blots out ugly backgrounds and softens colour and detail. And there's nothing difficult about photographing in fog. Since BC is temperate rain forest, you're pretty much assured of meeting up with rainy dogs if you have a fog fascination. Here's a great read on David duChemin's blog "Shooting Wet". Strong sun means a high contrast picture but not in fog... water droplets reflect light in all directions and what's left is a soft, gentle, even light and muted colours. Try shooting the same scene again on a sunny day. Then compare the sunny and foggy images side by side. My bet is that your preference will be to take your camera out on foggy or overcast days in future. 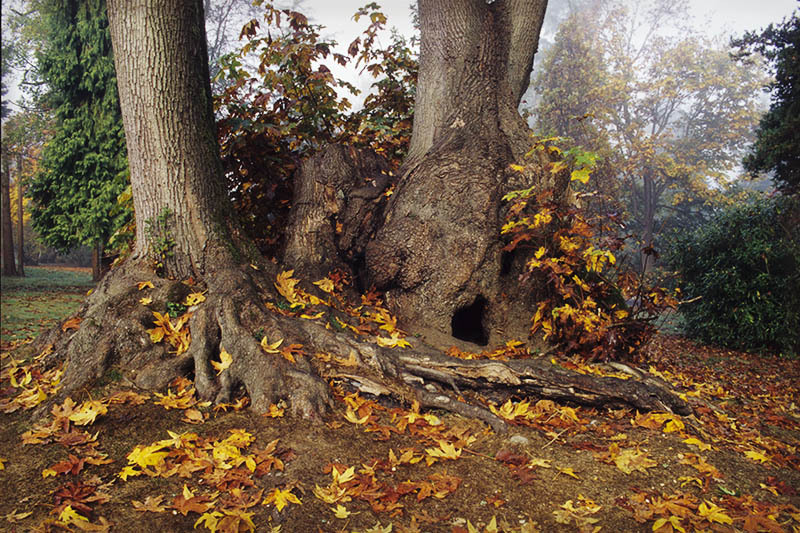 These trees at Stanley Park make me think of a hobbit's house :). The fog was thick one minute, receding the next. The best camera is the one you have with you! If that's your cell phone or a point and shoot camera, that's totally good! Go here for information on iPhoneography. Yes, that's now a real thing! Don't worry about getting the best camera gear. Use what you have.... Just don't lose those memories because you don't have the latest and greatest gear. Autumn at Daegu University - an afternoon walk with Ivory. An iPhone 5s panorama of a meadow in the forest. Click for help on iPhoneography. I used to walk my Jin-do dog, Ivory, early every morning at Daegu University, South Korea. And what a great place for hikes... I can't even guess how many acres there are. I love the forest surrounding the campus... we spent an awful lot of time out there.... the three of us - me, Ivory and my iPhone! Ivory's so full of energy... no way I could haul my DSLR and tripod when she's with me. The fix for losing all those autumn pictures was, and still is, my handy-dandy, always-with-me iPhone. 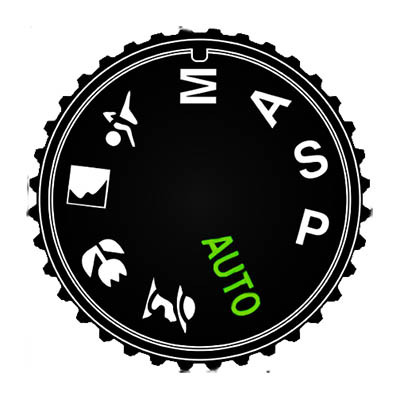 No RAW but you can edit JPG files in Adobe Camera Raw or Lightroom and get creative in Photoshop. No, JPG isn't as good as RAW but at least I didn't miss a lot of great photos. 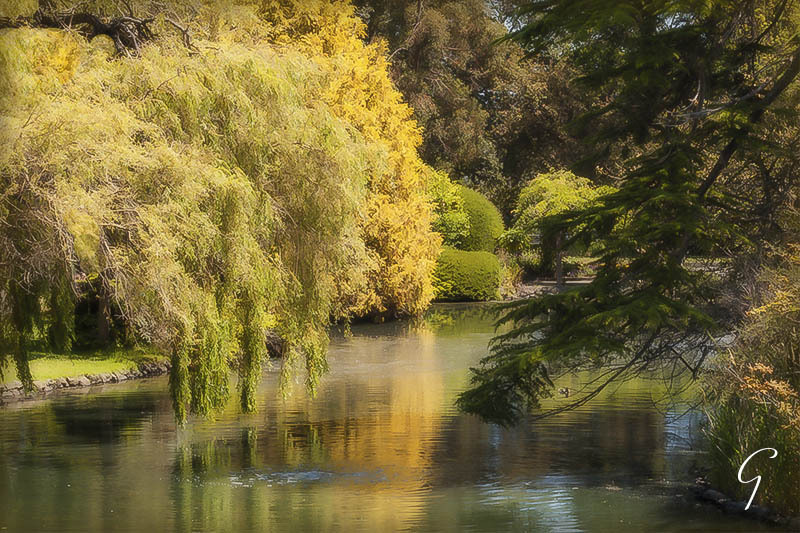 Autumn at Beacon Hill Park in Victoria, BC. I love photographing reflections. Autumn means many things... like maturity, wisdom and freedom, perhaps a time of retirement. We turn to inward, soulful reflection and away from material needs. Autumn is the season of young becoming old. External beauty begins to wither and just like the leaves, our human bodies become weaker and we accumulate scars and character lines. Whatever the season, life changes and progresses. As much as we humans don't appreciate change, fall symbolizes the arrival of a cold winter, illness, or difficult times. Perhaps the chill in the air signifies how the passion for our desires and dreams has cooled off, and maybe reminds us of lost friends and lovers. Watch the squirrels storing away nuts in your back yard. Lots of nature's creatures gather food and hibernate. All the fall activity that gets them through the winter ensures a new start when spring comes round again. 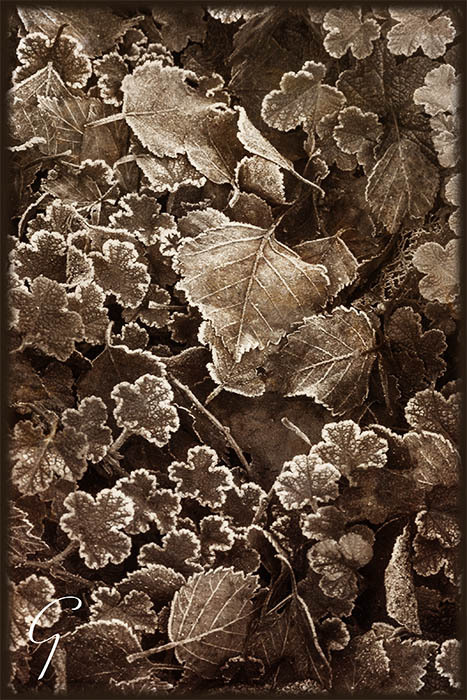 Sepia textures for a black and white image of frozen leaves. 3 texture layers applied in Photoshop. Brown symbolizes the colour of roots and earth and gives a sense of feeling grounded. The hot reds and oranges are the shades of fire. Green is one of the colours of wood and nature. In relation to autumn, it gives hope for the spring that follows. This was a grey-scale image taken with Delta 100 film and scanned. I used 3 texture layers in Photoshop to return some colour to it. Halloween is one special day that children... of all ages.... love to celebrate. 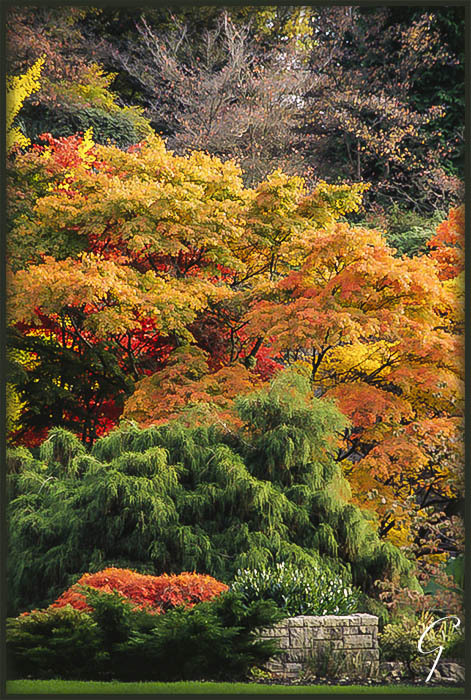 This photo was taken at VanDusen Botanical Garden late October. 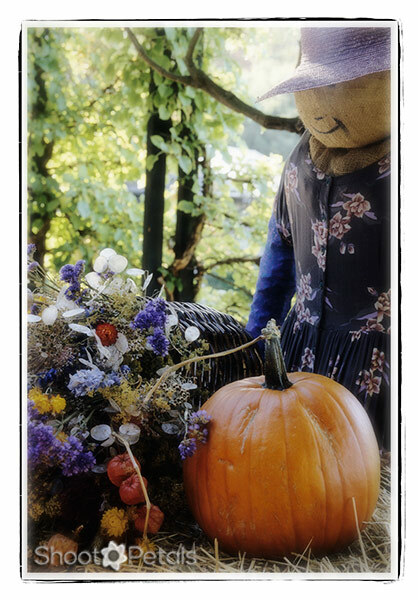 There are numerous photo ops, children, parties, pets and landscapes with pumpkin fields or markets with pumpkins. And those are just a few ideas. One more autumn holiday is Thanksgiving. Canada in October and the United States is in November. I always loved celebrating Thanksgiving when I worked overseas in Korea.... Chuseok was in September and with all my international friends, celebrations and food lasted all through the fall. Not only food... friends and social events. Think of all the photography opportunities with just the holidays. Never mind the amazing landscapes and colours that make autumn pictures so gorgeous. Queen Elizabeth Park in the Quarry Garden. 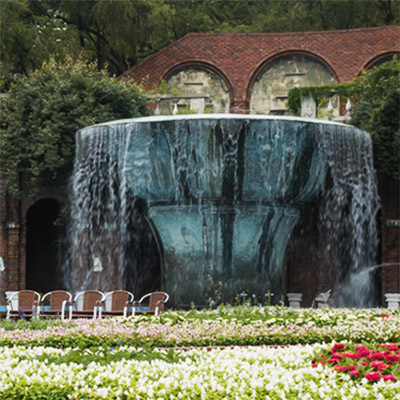 A beautiful garden that's worth visiting in any season. It's always a good idea to include people or pets. How about your family on the dock or porch at the lake with bright autumn leaves in the background. If you can get close enough, squirrels with cheeks full of nuts and seeds. Early morning frosty fallen leaves in the early morning. A frozen flower, maybe a rose. Birds visiting your garden before their long migration flight for the winter. I'm pretty sure you can come up with a whole lot more! Just make sure you get out in the chilly fall days and get your photos. It's my favourite season of all. Don't let a minute of it slip through your fingers!